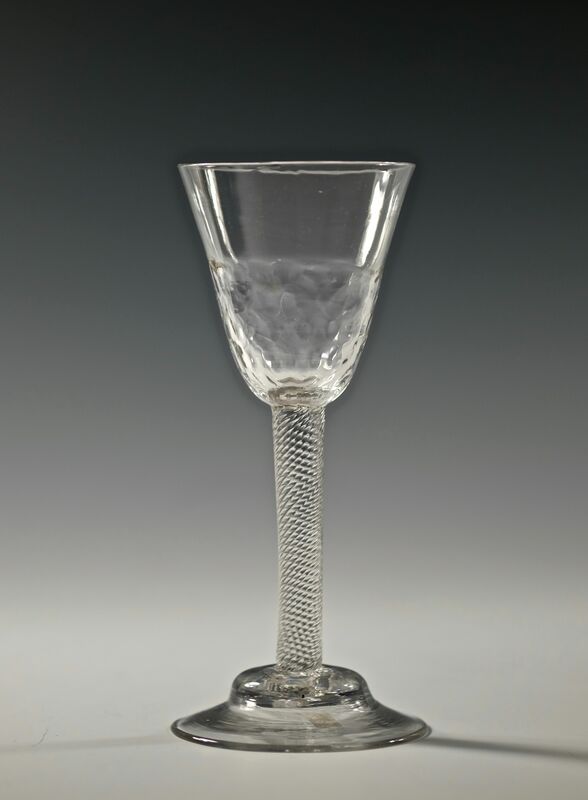 Fine incised twist wine glass set on a domed foot. The round funnel bowl hasr reticulated moulding to the lower half. English C1755. 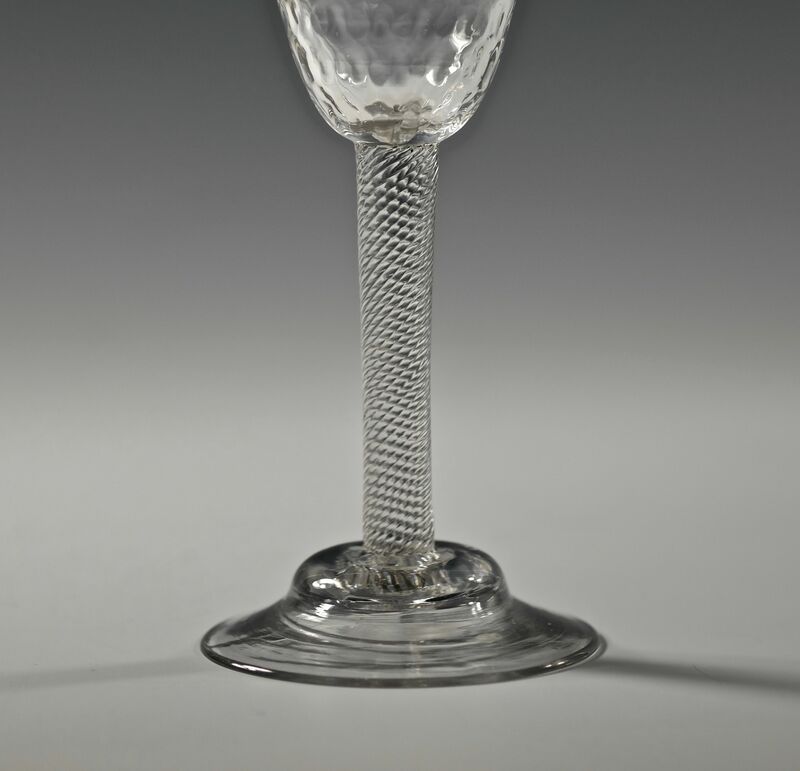 Note: For a short period in the mid 18th century some glasses were made with finely ribbed stems. 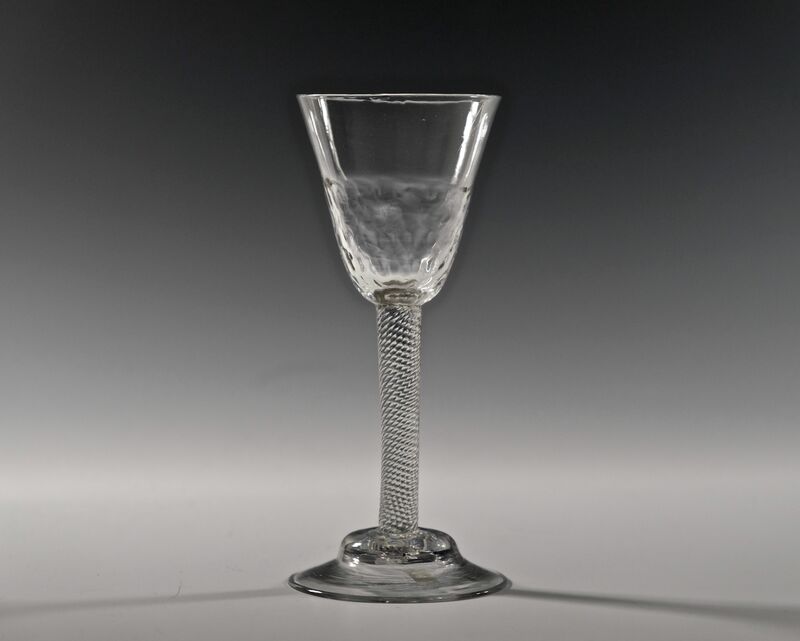 These are described as incised twists. 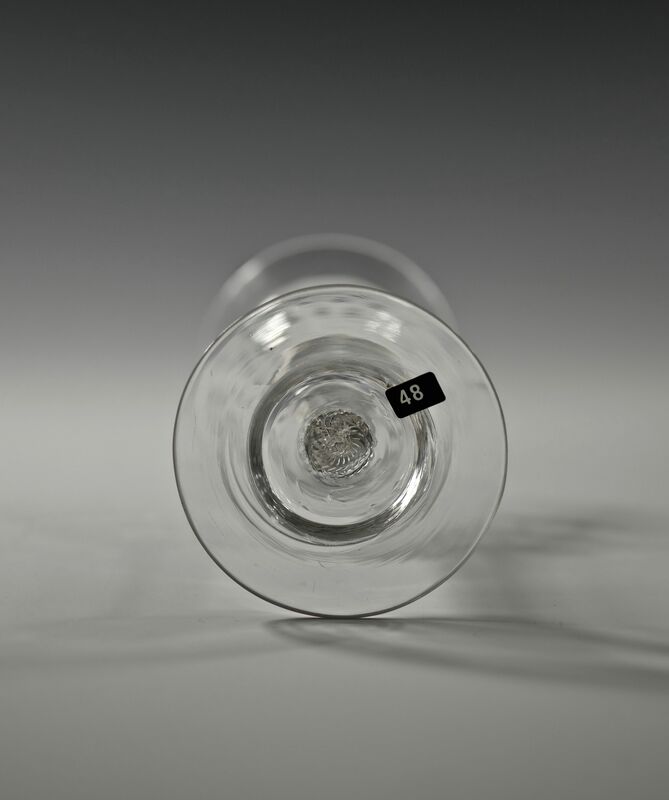 The majority are of a relatively poor quality and are thought to have been produced as a cheaper version of air twist glasses. 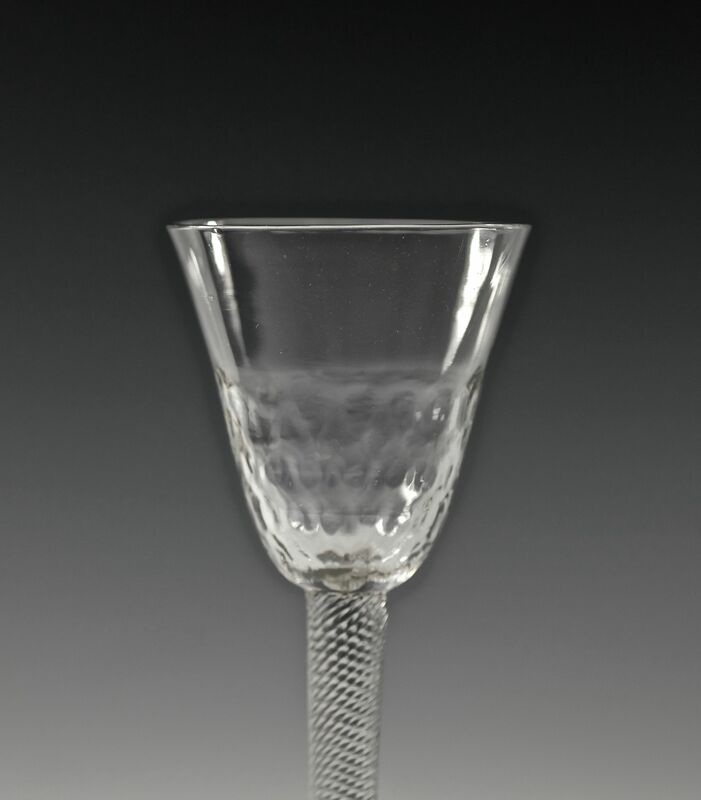 This is a fine example, well made, good quality with good proportions and it is in very good condition.